9/1/16 - 10/1/16 ~ . 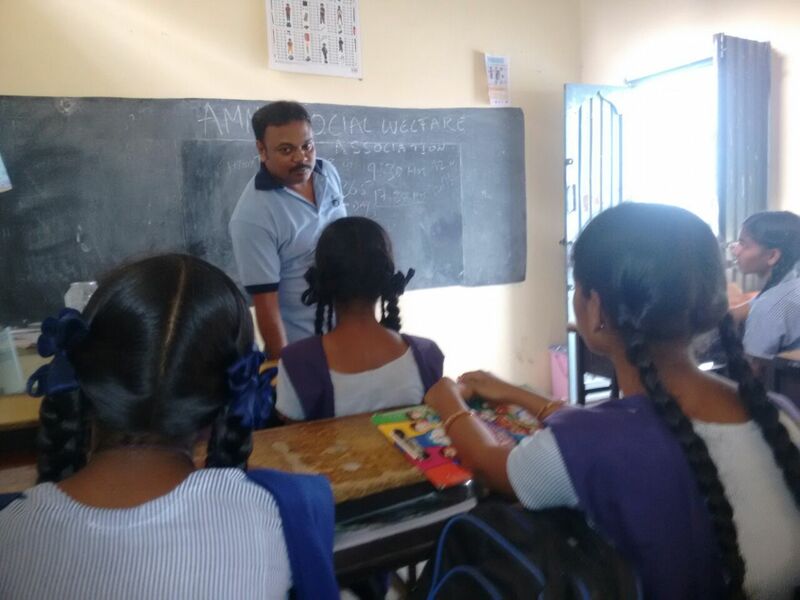 As you all know from the last 4years (currently 5th year) we are conducting regular weekly session at Govt.boys elementary school, Balkampet, opp.nature cure railway station. Here along with subject we are concentrating on overall development of the children’s. Different activities which we are conducting includes Subject, Moral value, Games, visit of Historical places, Breakfast distribution, cultural activities and many more. Recently we have distributed ASWA school bags in the school. We required 2 to 3 volunteers who can able to come regularly every Monday. If you are interested then please join us every Monday from 9am to 11:30am. For more details please contact me on- 8885290990 or Haritha on- 9949789229. 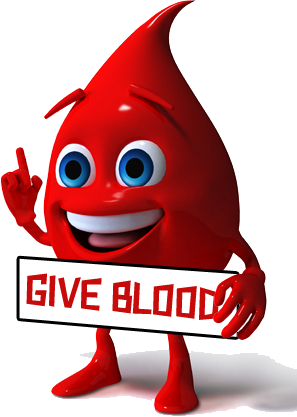 With help of kind heart donors and volunteers like you. we successfully completed food distribution on 15th August at Govt Maternity Hospital, Koti. we distributed 170 packets of Chapathi & Dall curry along with one pomegranate fruit. This food distribution was sponsored by Yamini Talapakala on the occasion of her brother Mr.Sathyannarayana Talapakala's Birthday. we are very much thankful for their kind donation. 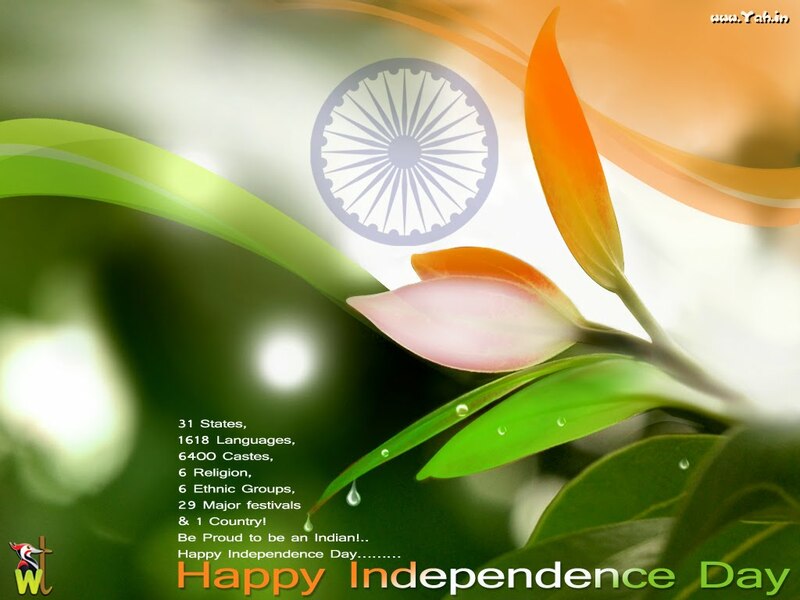 I wish U A VERY HAPPY INDEPENDENCE DAY TO ALL. I am privileged to inform you all that we have opportunity to feed the needy on this auspicious day. Under 'Annam Parabrahmam project' on every 3rd Monday of every month, we used to conduct food distribution. For this month we are going to conduct food distribution on this 15th August,2016(Monday). My heartfelt thanks to the kind hearts, specially who are sponsoring Food Distribution activities in the memory of their loved one's. And this time Yamini Talapakala sponsoring food on the occasion of her brother Mr.Sathyannarayana Talapakala's Birthday. Please join your hands to make the event grand success. We are going to start Vikas PDP session in 5 schools under Vikas project. Main intention of this program is to motivate the students by conducting different competitions like Essay writing, CAT Exam, Computer, Elocution, Quiz, Creativity Mind thinking. This Program will run till Feb 2017.We require volunteers for conducting this program in 5 schools. 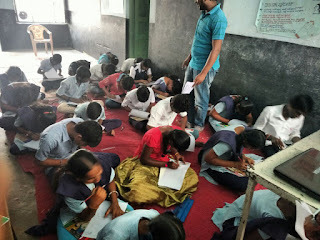 In this Month we conducting Essay writing topic "About yourself"
Secondary Girls High school, Kothapeta, Dharmavaram. Secondary Girls High school , Kothapeta, Dharmavaram. 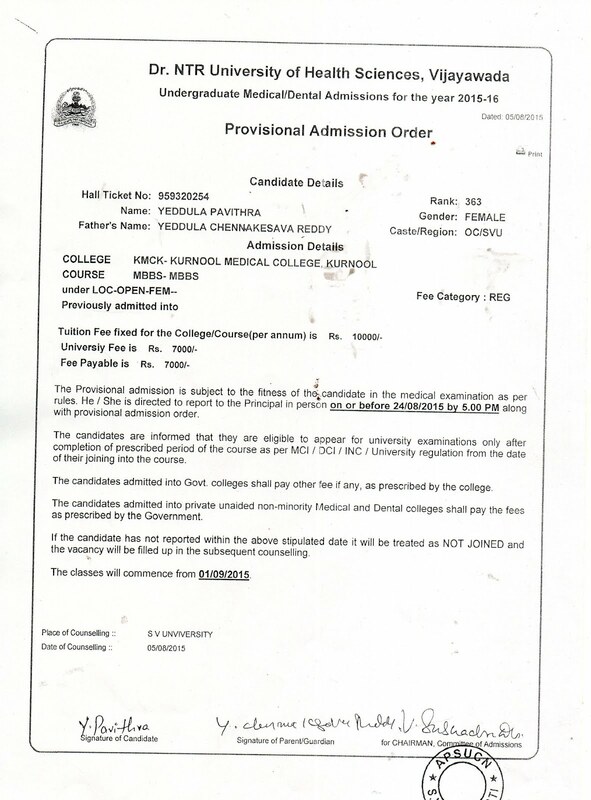 We received help request from Hari prasad Garu (Capital IQ employee) One of her relative got MBBS seat in Kurnool Govt hospital.He requested us to help her in anyway. So we consider this case for verification . 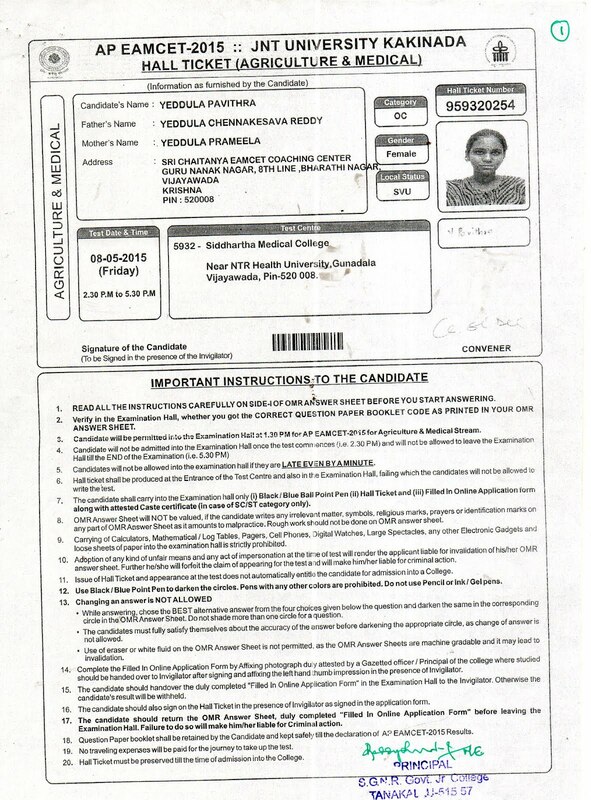 Yeddula Pavithra completed schooling in valmuki school, Kadiri and got scored 9.5 percent out of 10.And she completed Intermediate in Govt Junior college.After that in Eamcet she scored 1150 Rank .So she went for long term in Chaitanya junior college.And in that year 2015 she scored 363 rank. Pavithra wants to do MBBS with support of any NGO's.In that process some local reporter published about her family status and how she got the medical seat in Kurnool Govt Hospital.So her mother said that we cannot able to bare amount in this condition for your studies. No one is responded by seeing her article in news paper also.So with help of her brother she contacted us. 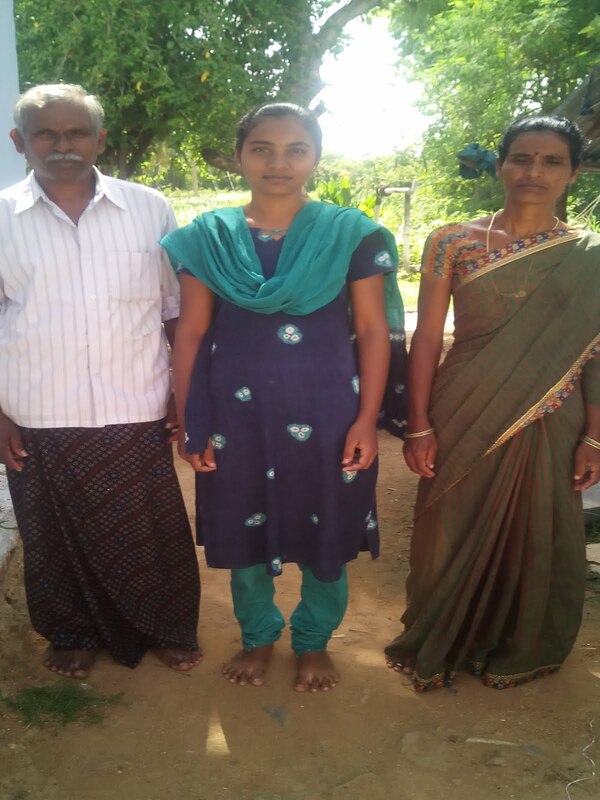 She is only daughter in her family.Her father Y.Chennakasava Reddy Garu is farmer and earning monthly 5k and her mother Y. Pramela Garu is house wife. In November we purchased books worth of 8000/- for pavithra with help of kishore anna and basha bhai handover Pavithra. She request us to pay monthly mess fee for 5 years it should be 2200 per month and academic books cost of 8k. We all know Anantapuramu is big drought area in our State .Totally her family is dependent of agriculture only.Her father have 7 acres land and have 2 buffaloes with that he earning 5k per month. From last three months we paying 2200 Rs hostel fee to her.Thanks to Mohan Vajjha and his friend for supporting her in the last the month. We successfully completed food distribution on Aug 21st, at Govt Hospital, Anantapuramu. 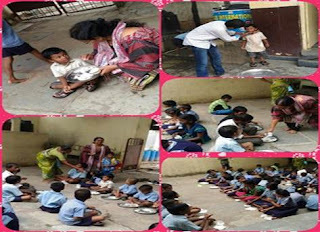 This is food distribution was sponsored by Mr.Seetha Ram Garu in the name of his Son Karthik Krishna. Our special thanks to seetha Ram Garu for their kind contribution. We distributed food to 140 needy people. In this we have given kichidi to all needy along with curry. Totally, we distributed 1700 Rs worth of food at hospital to 140 needy people. 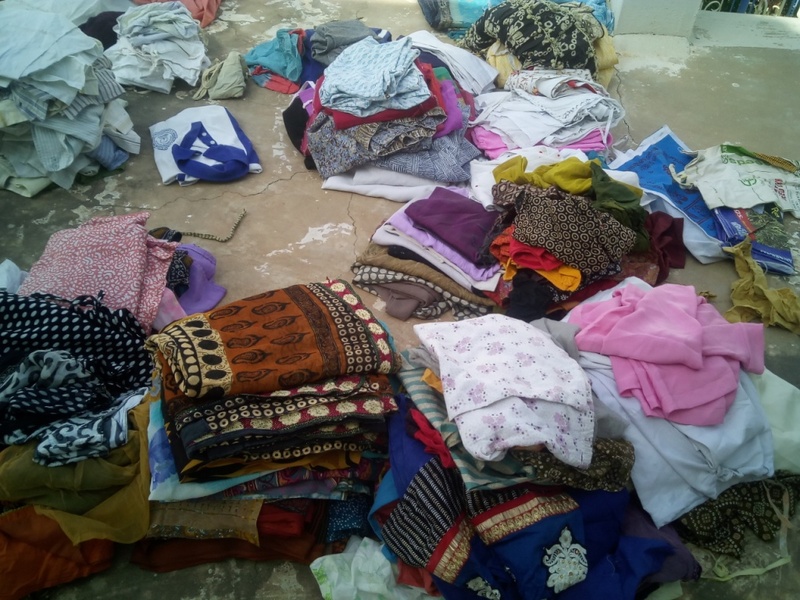 Along with these 6 bags old clothes to needy .Thanks to Spoorthi Book stall Owner Venu Gopal Reddy Garu for donating old clothes. 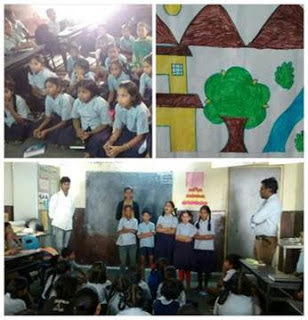 VIKAS Personality development Session @ Chinthal Basthi School On 06th-August-2016, Saturday. 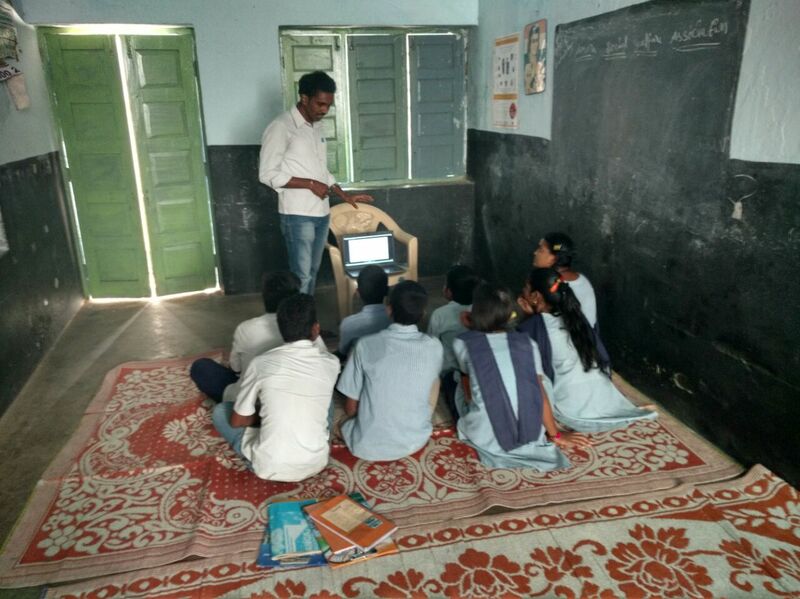 Tomorrow i.e 6th August 16(Saturday), we VIKAS Team is going to Conduct Personality Development Session in Chinthal Basthi High School,Khairathabad. Friends please come and join and share your happy or success moments with the students and make them joyful and Confident. Last Saturday i.e. 20/08/16 our VIKAS team successfully completed "Personality Development Session-8". 1)Chakri started the session with an excellent poem by explaining its meaning. Very inspiring and informative. Students Enjoyed a lot. 2)Video presentation done parallely to the 6th,7th as one batch and 8th and 9th as another batch. Students enjoyed a lot. 3)We asked Q and A to the groups about the shown video. 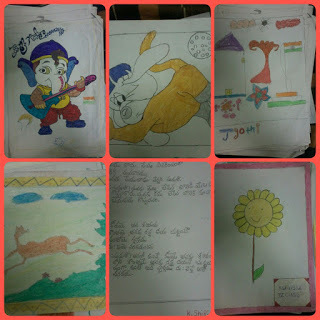 4)Drawing Competion conducted and here students involved such that we volunteers enjoyed a lot for thier creativity. In other side Durga Prasad and Madhan took session *Concentration and listening skills* for the 10th class students..
All volunteers did an amazing job for this activiti. Please find the below attached pics. For Last Academic year (2015 - 16) we have supported U. Sagarika, Degree B.Com 2nd year, IInd Semester for her college & exam fee Rs. 6000/-. For this academic year (2016-17) we have to pay Rs. 12000/- approx for IIIrd year. Please find the below mentioned details. Her father is daily wage labor and earning Rs. 3000/- approx per month but he is fully drinker and not giving money to the family. Now his health also not good and not doing any work due to his bad health condition. Mother is working as a Aaya in a private school and earning Rs. 2500/- per month. Brother is working as a painter work and earning Rs. 3000/- approx. He has stopped his studies in Intermediate due family financial problems and started the painter work. Sagarika also stopped her education in Second year, Ist Semester for one month due to non-payment of 1st semester college fee and exam fee and asked for a teacher job in a school which her mother is working. In school one person has saw her interest and brilliant in education and suggest her to don't stop studies, he has given Rs. 5000/- in returnable basis but without interest. She has paid 1st semester exam fee and continued her studies. She is brilliant, talented student and having the good name in college. For Last Academic year (2015 - 16) we have supported Mr. Imran, 1st year, DPET (Diploma in Physical Education Training) education for his college fee and hostel fee for Rs. 27000/-. Please find the below mentioned details and photos. His father is running a small hotel in village which he can earn Rs. 3000/- to Rs. 4000/- approx per month. Mother is house wife and having some miner health issues like low BP. Now he is studying in "Sri Veda College of Physical Education" at Kondapaka, near Siddipet, Medak Dist. Imran was tried to do the DPET in 2014-15 academic year but due to financial problems he was unable joined in college. 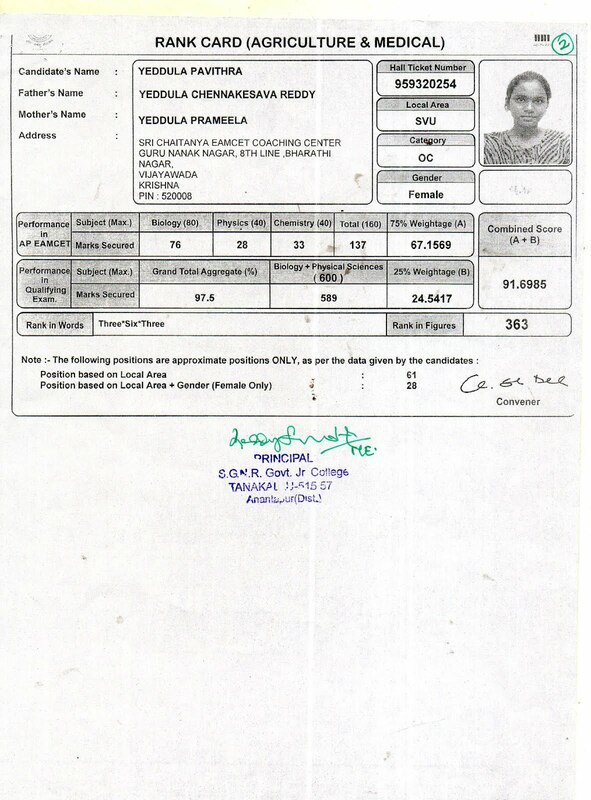 For 2014-15 academic year he got the 8000 rank in eligibility test and got the seat in Kadapa. Note: We have to support for this academic year (2016-17) for college fee Rs. 6000/- and room rent Rs. 2000/- per month for 10 months.